Barnet Mobile Mechanic, Specialists in Mobile Mechanic Barnet. Vehicle service and repair Barnet. Home or Work, all makes and models. JB Mechanics Mobile Mechanic is considered number 1 in London. JB Mechanics is the mobile mechanic Barnet that will provide you with an honest, professional and low cost mobile vehicle repair service and all at your convenience….. Serving Barnet and surrounding ares, a truly Mobile Mechanic Service In Barnet that comes to you. JB Mechanics Mobile Mechanic Barnet will do our best to get to you as soon as we can. We will come and carry out roadside repairs and general maintenance in the Barnet area. JB Mechanics Mobile Mechanic Barnet carry out a wide range of repairs on all makes and models of cars and vans. We are literally a Mobile garage and can undertake a huge range of jobs to help the Barnet drivers on the road with no problems. All our technicians are fully qualified to the highest level and all our work is guaranteed. Mobile Mechanic Barnet cover all areas throughout Barnet and we are more than happy to help with your enquiry, call us today and speak to our friendly team who will advice you on our very competitive pricing and availability. 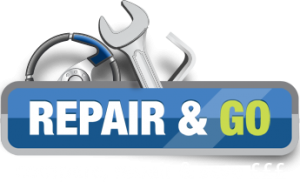 Remember that JB Mechanics Mobile Mechanic will come to your workplace or home in Barnet to carry out repairs, so if your working there will be no interference. We can do your annual service, replace your brakes, change your exhaust, replace your suspension all whilst you are carrying on with your day, without having to take your vehicle anywhere. Strictly a Mobile Mechanic. There are many ways to contact JB Mechanics Mobile Mechanic for a Mobile Mechanic Barnet, you can call our free phone, call our mobile, fill in the contact form or send us an email. Mobile Mechanic Barnet are experts in brakes, we offer such competitive pricing for all our brakes services, weather it’s just pads, disks and pads, brake shoes, leaking wheel cylinders, adjusting handbrake, cleaning callipers (older vehicles). All our parts are guaranteed. Don’t delay call JB Mechanics Mobile Mechanic Barnet today!